With Christmas just around the corner, the DWCA is proud to announce we have for sale the Complete Series Ten boxset. Join Peter Capaldi in his final full series as the Doctor, with Pearl Mackie as new companion Bill Potts, Matt Lucas as butler-come-badass Nardole and Michelle Gomez as the Doctor’s frenemy, Missy. See the Doctor battle emoji-speaking robots, Ice Warriors, Cybermen, the Master(s) and many, many more villains and monsters. Featuring deleted scenes, audio commentaries, behind-the-scenes documentaries and a limited edition set of lenticular cards, the set is a must for any Doctor Who fan! Order now to ensure you receive your copy before Christmas! 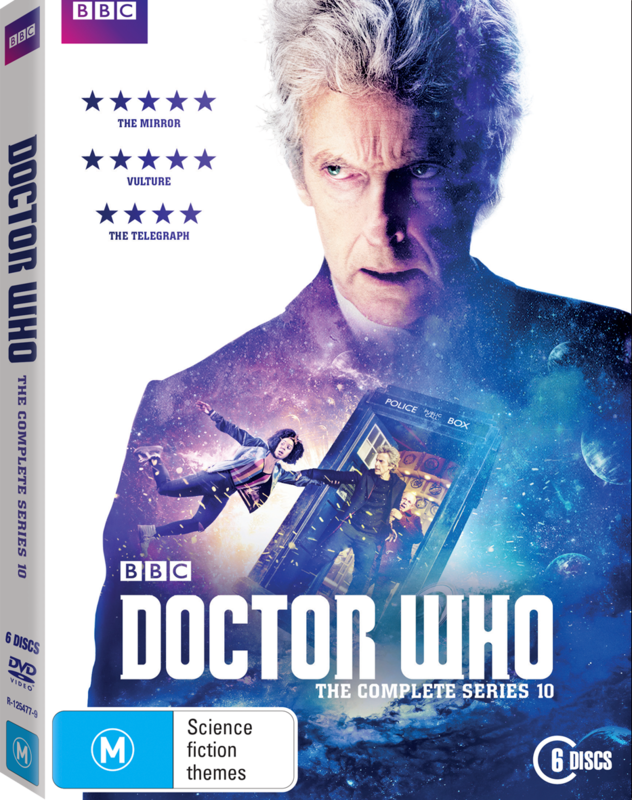 Click here to order your copy of series ten on DVD or Blu-Ray now. As part of Children in Need in the UK, a special clip from this year’s Christmas special, Twice Upon a Time, has aired. As previously reported, this year’s Christmas special will be on the big screen at selected cinemas, ABC’s iview as soon as it has finished airing in the UK, and on the ABC itself at 7:30pm on Boxing Day night. Once it’s finished, switch over to ABC Comedy (previously ABC2) to watch the Christmas special of Whovians! Thanks to our friends at BBC Worldwide, we have six double passes to give away to our members! For your chance to win a double pass to see this long-awaited story in cinemas, simply click here, fill in your details and answer the question. If you are not yet a member, you can become one right now. Please note that Shada will be screening at a limited number of cinemas from 24 November, so please check the list of participating cinemas and their screening times before you enter. Competition entries close on Sunday 19 November at 11:59pm AEST. Our competition terms and conditions apply. 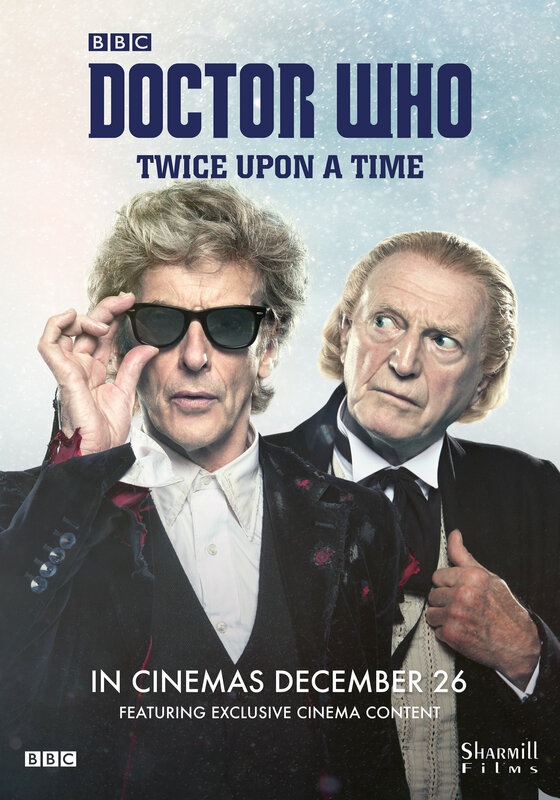 BBC Worldwide Australia and New Zealand and Sharmill Films have confirmed that this year’s Christmas Special – Twice Upon a Time – is to receive a cinema release on Boxing Day! That’s right, the epic finale to the Peter Capaldi era of Doctor Who is coming to Australian cinemas, featuring the return of Pearl Mackie and special guests Mark Gatiss and David Bradley. The event will also introduce the Thirteenth Doctor, played by Jodie Whittaker. The cinema event will also feature two exclusive bonus pieces, taking audiences behind the scenes of the filming of this holiday special and celebrating the tenures of Peter Capaldi as the Doctor and Steven Moffat as showrunner and lead writer. It has also been confirmed that the episode will be immediately available on ABC iview after the UK broadcast, and will be on ABC TV at 7:30pm on 26 December. Straight afterwards, fans can join Rove and his guests for a special regeneration episode of Whovians, at 8:30pm on ABC COMEDY (previously ABC2). For a list of cinemas that will be airing the Christmas special, head over to Sharmill Films website here. For a trailer to whet your appetite for the Christmas special, click below! This month will see the 54th anniversary of our favourite show along with the 37th anniversary of club publication Data Extract. The DWCA is ready to celebrate with a digital comic made exclusively for club members – Wrath of the Cyber-Spider. It’s from the same team who brought you Liberation from the Daleks and features all twelve incarnations of the Doctor plus the War Doctor too! 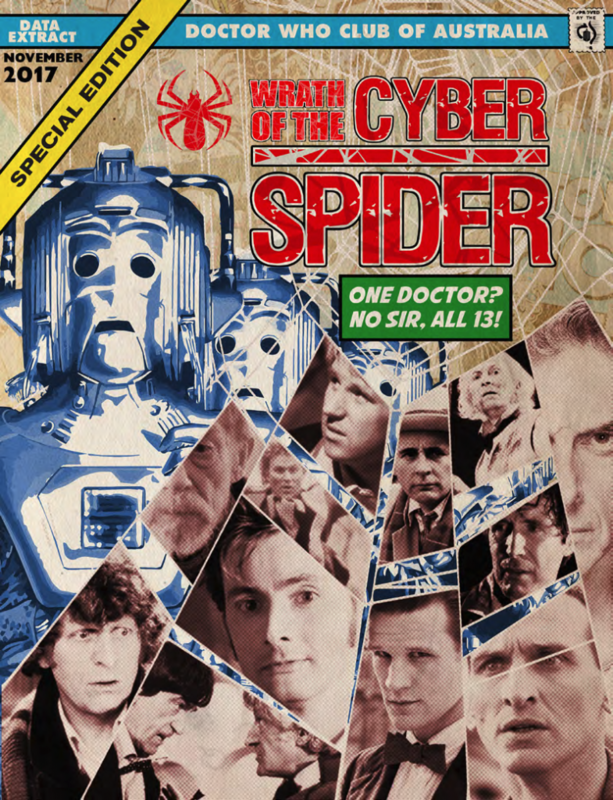 Plus bonus features include interviews with Nicola Bryant, Colin Baker and Sylvester McCoy as well as a pin-up gallery covering the extensive history of DWCA Publishing. Club members should be receiving an email in their inbox today with a link to download the publication. And if you’re not a club member – make sure you join so you too can make the most of exclusive material like this. 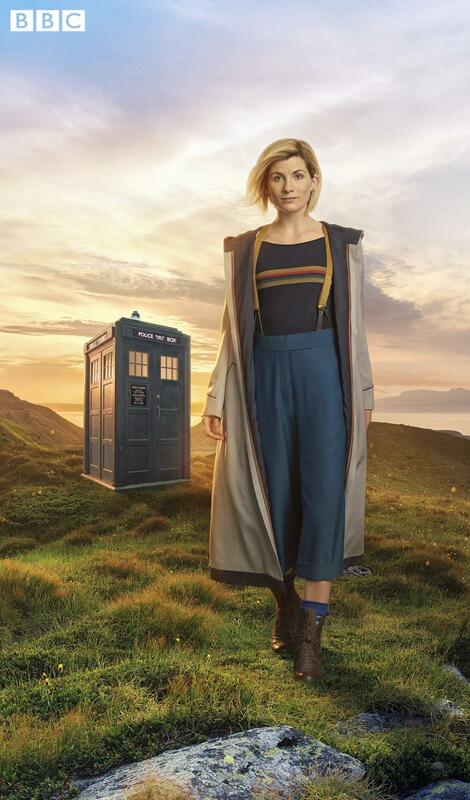 Overnight the BBC have released the first image of Jodie Whittaker in her role as the thirteenth Doctor. The DWCA is sad to report on the passing of Paddy Russell. Paddy was the first female director to work on the show and worked with the first, third and fourth Doctors. Paddy was first involved with Doctor Who directing the William Hartnell story, The Massacre of St Bartholmew’s Eve. It was eight years later she directed the six part Jon Pertwee story, Invasion of the Dinosaurs. She was involved twice more with the series directing Tom Baker stories Pyramids of Mars and Horror of Fang Rock. It is with sorrow that we report on the passing of Dudley Simpson. 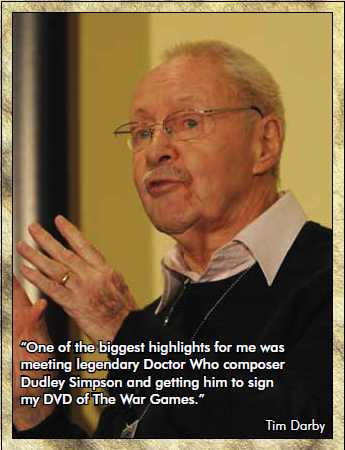 Dudley worked on over 290 episodes of Doctor Who, writing the score to over sixty stories. His music provided the soundtrack to the majority of adventures of the first four Doctors. He also wrote title music for Blake’s 7 and The Tomorrow People. Dudley was born in Australia on the 4th of October, 1922. 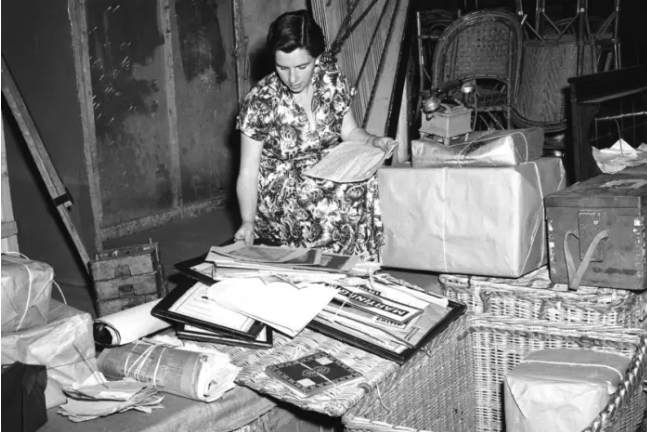 He studied orchestration and composition at the Melbourne Conservatorium of Music. His entry into Television was meeting a BBC executive at a party. From there, it was his work on drama Moonstrike that bought him to the attention of Mervyn Pinfeld who recruited him to write music for the First Doctor Story – Planet of Giants. He wrote scores to such memorable stories such as Fury from the Deep, Seeds of Death, Terror of the Autons, Genesis of the Daleks, and many many more. In addition to being behind the scenes, he appeared on camera as the Conductor in episode 4 of The Talons of Weng-Chiang. Dudley also appeared at Whovention 2013, where he was able to regale attendees with stories from his time working on the show. Jamie Childs has been confirmed as a director working on the first production block of series eleven. Childs was responsible for directing the 13th Doctor reveal of Jodie Whittaker. At this time, it hasn’t been confirmed which episodes will be shot during this production block. 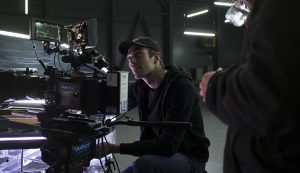 Childs has been involved in shooting commercials which won a number of awards. 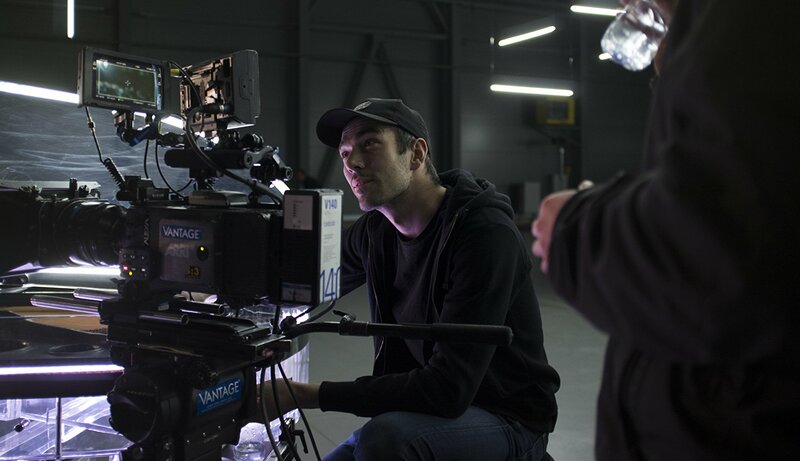 He has also been involved in directing Stan Lee’s Lucky Man. He has also previously worked as a second unit director for series one of Poldark. 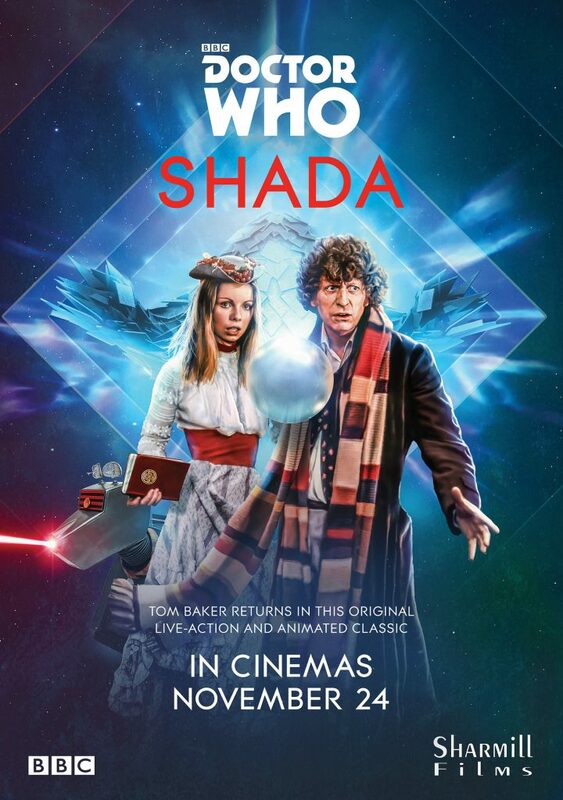 As previously posted by the DWCA, Shada is being re-released with fresh animation. 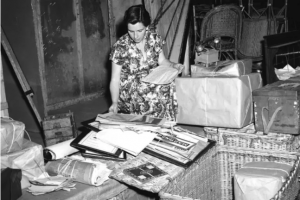 For more information on the history of Shada, please refer to the original post, here. Now we can confirm that in addition to the home media release, Shada will also receive a limited cinema release from the 24th of November! For more information and to find your closest cinema, please visit the below link to the cinema distributor, Sharmill Films.